Braces manufactured by Aspen Medical Products, theNEW Adjustable Evergreen™ 631 LSO LoPro delivers effective pain relief and lumbar support. This simple, low profile, one size adjustable brace treats a variety of indications from chronic and acute pain to post operative patients. The back panel.. 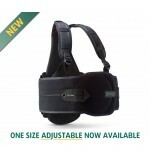 The NEW Adjustable Evergreen™ 456 TLSO delivers effective pain relief along with thoracolumbar and lumbar support. 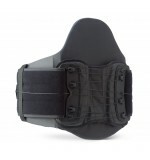 This one size adjustable brace provides a level of support that brings the patient back to a functional midrange while promoting a dynamic environment for healing from complex spin..
Left Hand Wrist Support Brace 8" Black .. 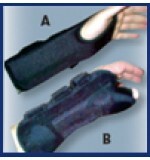 Right Hand Wrist Support Brace 8" Black ..